Are you a budding photographer? Or maybe you want to step up your photography skills? Perhaps you want to turn your hobby into something more lucrative? If this sounds like you, you won’t want to miss the upcoming photography tours starting this Saturday, July 28, at Best Buy. Available in Seattle, San Diego, Houston, Atlanta, Tampa, New York City, and Minneapolis, the half-day excursions will give you the chance to work with pro photographers, as well as their Camera Experience Shop experts to conduct four individual photo shoots. During the tours, you will get to test and try an array of lenses and accessories to experience first-hand just what’s possible with photography. You’ll be like a professional photographer, walking away with some fantastic photos. By the end of the workshop, in addition to lunch, you will get a bag of camera goodies. Plus, if you share your photos on social media using the hashtag #BestBuyPhotoWorkshops you’ll be entered to win Best Buy gift cards or a dream photography package. The events cost $50, but you’ll easily recoup the price with the giveaways, lunch, and the priceless opportunity to work with the pros. It’s essentially like visiting a specialty camera store, right in the middle of your local Best Buy store where an expert, who goes through intensive photography training, is on hand to help you with all things photography. There’s an expanded assortment of cameras, lenses, and accessories that you won’t find in other locations. Not to mention you can get hands-on with all the cameras and test and try them in the store. Not quite ready for the tours, but still want to improve your photo skills? Start with a free in-store photography workshop. 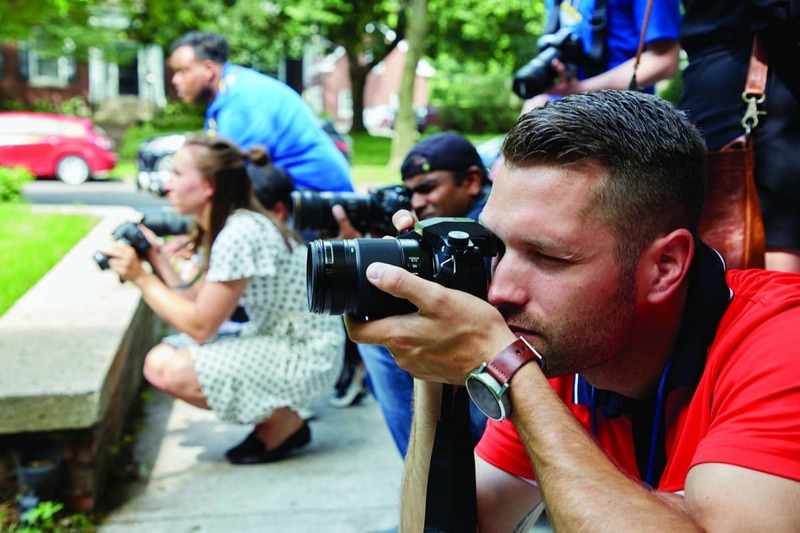 These workshops are only two hours long and cover the photography basics. You will get one-on-one interaction with their Camera Experience Shop Experts to walk you through your camera’s settings. So if you live in or near, Seattle, San Diego, Houston, Atlanta, Tampa, New York City, or Minneapolis, be sure to stop by the Photography Workshop Tours this Saturday, July 28. Note: Once you’re done, take the next step into the upcoming Photography Workshop Tours on 10/20 and 1/19. You can sign-up to be notified when these go live for registration in the fall/winter.